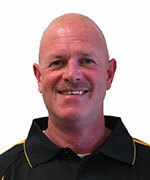 Tony, our Taranaki Inspector, comes from a background in the construction and engineering industry. He has the experience and the eye for detail that you need to complete your house inspection. Tony is a qualified level 1 thermographer to ISO 1843-4 and reports to ISO 1337-9, so he has the skill to carry out full weather-tightness inspections. He has lived in Taranaki for the past 20 years and manages the business with his partner, Dianne. When they’re not out inspecting homes in the area, they are fishing, gardening, or catching up with family. Buying a home is often one of the biggest decisions you will make in your life; Tony & Dianne of NZ House Surveys Taranaki can help you ensure your next purchase is everything you imagine it to be. Call Tony and Dianne today on (06) 769 NAKI or 027 579 9100 to schedule your next building report. NZ House Surveys are proud to be offering their pre-purchase home inspection services and their professional building reports to home owners throughout the Taranaki area. We also offer thermography reports to ISO 1843-4 with reporting to ISO 1337-9 and mould risk/ investigation assessments using a Thermohygrometer Smart Probe, perfect for housing, warehousing and storage facilities. Call Tony on (06) 769 NAKI for more information today.